All Fine Art prints are made by me personally on a commercial grade Epson 7900HDR printer which utilizes archival inks. Only the best professional photographic archival papers appropriate for quality & longevity are used. Paper brands that I use are recognized for their color and permanence include Harman, Ilford and Epson Professional papers. Wilhelm Imaging Research, Inc conducts research on the stability and preservation of traditional and digital color photographs & has determined that specific combinations of paper & ink with this printer to be guaranteed to last more than a lifetime (100+ years behind UV glass). This is a process commonly referred to as Giclee. All prints are made with a white border all around the image area. I personally sign every print in the lower right hand area of the white border. Since prints are not maintained in inventory, and are made per order, please allow 1-2 weeks for prints to arrive but should arrive earlier than that! I provide prints-only for all of my images. 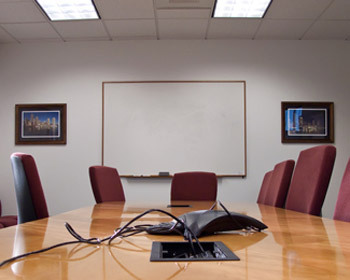 This enables you to work with your local framing shop to achieve the framed results you desire. For long lasting viewing and enjoyment of your investment your print/s should be framed (and/or matted with archival mats) shortly after receipt. I can be reached via the contact area on this web site regarding recommendations for framing and hanging. Prints in sizes other than what is shown via 'purchase prints' may be available upon request. Please contact/email me for specifics. 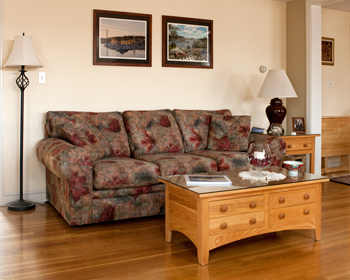 Panorama prints are available in print only and vary by size depending on the field of view. Exact image sizes are shown via 'purchase print' but the print will be provided on paper larger than the image size to make it easier for your framer to work with. All comments regarding Fine Art Prints above apply to the panoramas as well. Any questions please ask. Some examples of consumer and corporate interior design use of my photos are shown here. 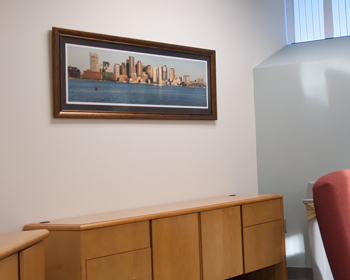 The conference room panorama is a 54" long framed photograph of Boston whereas the two smaller ones are views looking towards Rowes Wharf in Boston both at night and in the early morning. 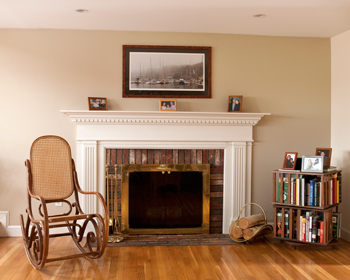 The consumer photos show photographs of Camden Harbor in Maine with the one over the mantel another panoramic print (titled 'Camden Fog'). Ground SHIPPING IS INCLUDED at no charge on all orders within the continental United States. All orders will either be shipped in a heavy duty cardboard tube (for prints only) or in heavy duty cardboard boxes (mounted & matted prints). Items will shipped via USPS, Fed Ex or UPS to ensure safe and traceable delivery. If you are not satisfied with your fine art print it may be returned within thirty days after receipt for a full refund. If a print is damaged in transit I will replace it at no charge upon return of the damaged print. This is a 100% money back guarantee. Please contact me with any questions you may have about the purchase of products from me. Thanks!